Grass fed beef tastes different than grain fed beef. The taste is a reflection of the cattle’s all natural diet. 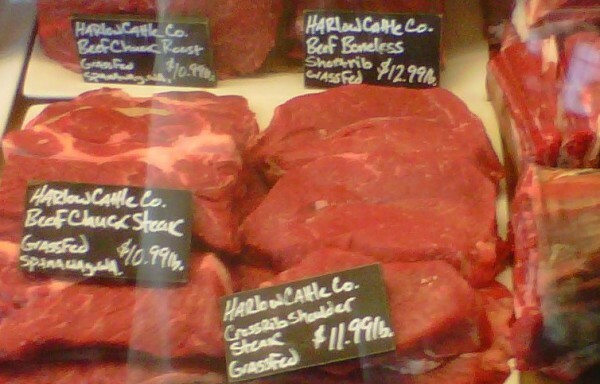 American palates, for decades, have grown accustomed to the taste of grain fed beef. Grass fed beef has a unique flavor that everyone can enjoy if you open your mind and taste buds to the delicious new flavors. Try a perfectly cooked grass fed, dry aged steak and you’ll be an instant convert! Grass fed beef requires a little extra attention when cooking. Grain fed beef is fatter therefore is more forgiving. Harlow Cattle Company grass fat beef may sit in between the extremes of lean grass fed beef and grain fat beef – our beef is truly grass fat! Sear on both sides of a steak over high heat grill to seal in juices. Then turn down to finish. Cook both burger and steak at a lower temperature than grain fed beef. Cook for 30% less time. Cook steaks to rare 130 to medium rare 145 degrees on a meat thermometer. Higher internal temperatures means your grass fed steak or burger will lose moisture and tenderness. Do not defrost in a microwave. Use the refrigerator or cold water. 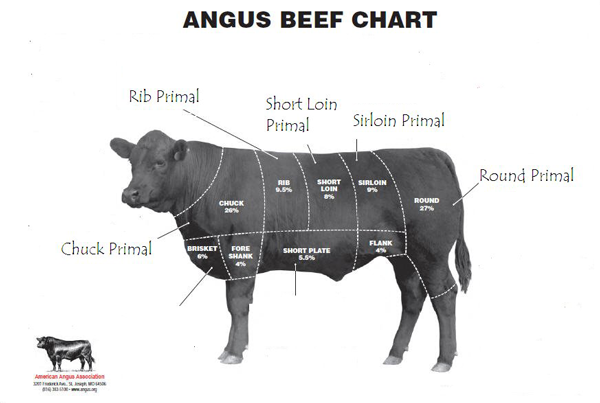 Let the grass fed beef rest after cooking to redistribute the juices inside the meat before serving. Cook at medium high to medium. Dry Roasting means cooking at a higher temperature, with little or no liquid. Cook at a low temperature for a long time (275 to 300 degrees) for 2 to 6 hours.